Validate an AuthToken and get user info via API call? I'd like to build some features in GameSparks for my game but also use AWS for certain other things. In order to integrate the two, I'd need to be able to re-use GameSparks Auth inside my AWS Web API. Does GameSparks provide a Web API or SDK method to validate an AuthToken and get user information? 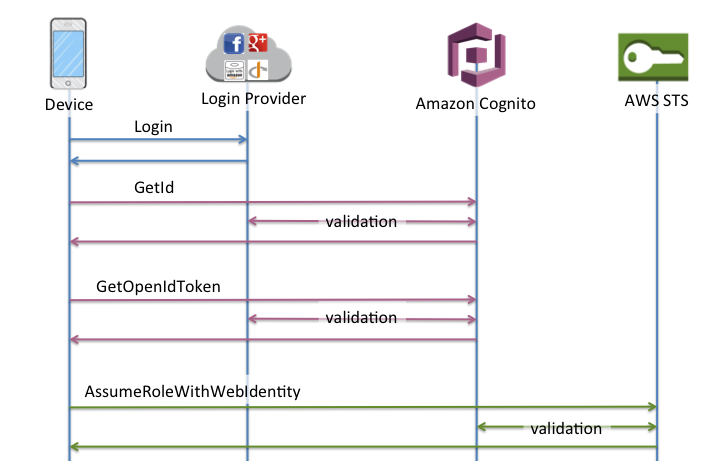 Is there a supported GameSparks authentication flow for AWS Cognito? "Does GameSparks provide a Web API or SDK method to validate an AuthToken and get user information?" I provided an authToken after they login, but I'm stuck - not sure how to validate the token. I actually recently asked this in a follow-up to a previous (live) ticket and just came across this. A year old question, and there is still no official answer. How can I believe that GameSparks is an active service and safe to rely on?